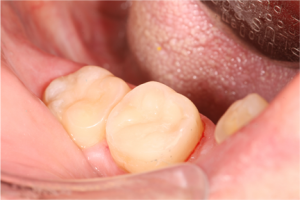 Composite is a tooth coloured filling material that bonds to the tooth. 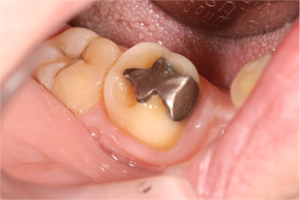 Placing a composite filling requires removal of the original amalgam filling or decay and the placing of a composite material into the cavity. The composite is set using a special bright blue light. Composite fillings come in a wide range of shades and so can be matched to the colour of your tooth to have the appearance of a natural tooth.